Ms Holmes (27/3/2015) has some issues with the granting of a planning permit for the proposed Bulgana Wind Farm, but is unlikely to find any allies in the community while resorting to factual exaggeration and emotive language which is more reminiscent of the infamous “Waubra Foundation”. There is an inference that Council is incapable of approving such projects. That is why Councils employ staff and consultants to advise them on details, such as the inclusion of 15 special conditions regarding erosion control, which is mentioned as a potential issue. Referring to “industrial wind factories” is a clue to the involvement of the anti-wind power movement, and their allies in the US Heartland Institute and it’s numerous spinoffs in Australia. Does a paddock become a factory by erecting a turbine within it? Property values around wind farms have been studied for decades with results such as “neither the view of the wind facilities nor the distance of the home to those facilities is found to have any consistent, measurable, and statistically significant effect on home sales prices”- a decade long US study. 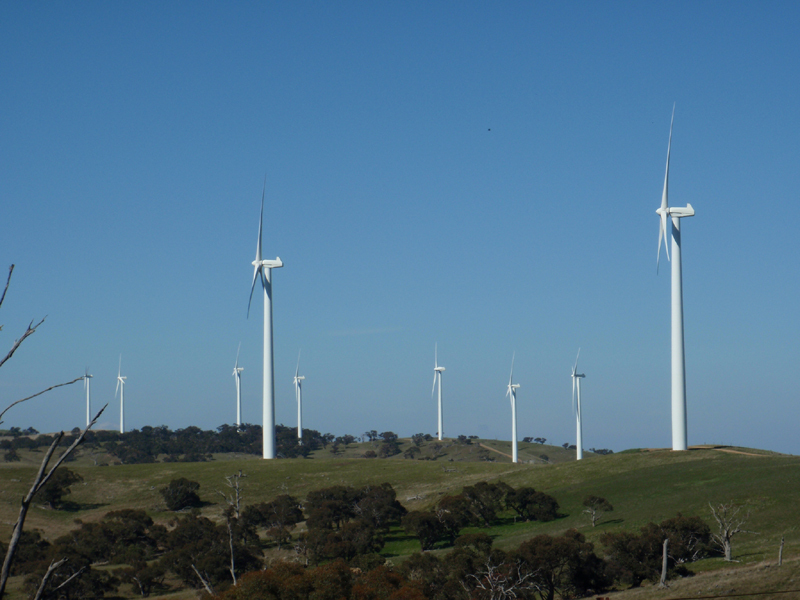 There are measurable benefits to landholders hosting wind towers, and also their communities. This has been well proven at the Waubra Wind farm already. The mere mention of health affects is a perennial tactic of the ant-wind movement. Spread enough misinformation amongst enough people and sooner or later somebody will start claiming symptoms of what they’re reading about. How come there has never been a problem at Challicum Hills Wind Farm where the nearest residence is 400m from a turbine? The same is true at Codrington and Yambuk. All available polling shows renewable energy and wind farms enjoy strong public support — Australians want more wind energy. On the other hand, opposition to the technology comes from the political fringe. Senator John Madigan’s wind energy inquiry (witch-hunt) is the current manifestation of this dynamic. Fringe politicians who where elected on preference deals and only managed a a trickle of primary votes — such as Sen. Madigan, Sen. Bob Day (Family First), and Sen. David Leyonhjelm (Lib Dems) — are over-represented on the wind energy inquiry. To ensure that the pro-renewable energy viewpoint of mainstream Australia is heard, we’re calling on people to take the following actions. 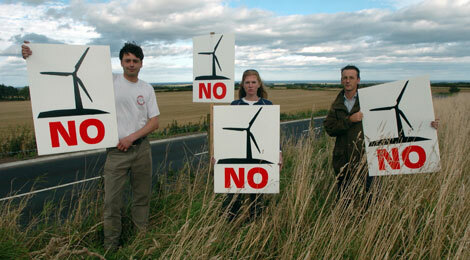 Please, sign our petition setting our what a fair wind inquiry would look like, and make a submission expressing your support for wind farms. Challicum Hills wind farm, near Ararat. I’m constantly amused by the Landscape Guardian NIMBYs (although it’s not often their backyards, being absentee landlords, squatters and blow-in rent-a-crowd) protesting about “industrial wind factories”, when the landscape in front of them has been processed for over a century for industrial timber extraction and wool production, or industrial beef, grain or forage production. It’s human use of the landscape, and if it’s less damaging to long term ecological processes, then it’s better. Oh, so coal gets dug up somewhere else, at someone else’s cost? Too bad for them. And climate change is crap, so it’s all good. Yeah. Don’t dirty your RM Williams moleskins when you shut the gate on your way out of the district. We won’t be missing you. There lies the problem you cant see the difference between the land being used for wool production and 150 mtr high wind turbines . You must have been on the ship of fools as well stuck in that melting ice you were telling us was the end of the world. Looking at the Reneweconomy site today Australia is generating 23761MW and your billions of dollars of wind farms are giving 106MW .Whos the idiot. Come on Ewbank, one letter in the Advertiser does not represent all community members from regional Victoria! The contents of that letter have come straight out of the Yes2renewbles handbook, the same rubbish we have been reading the last few years.